At Heathfield Junior School we run a weekly online chess club, when schools across the UK play against other schools as a team. Schools online chess club runs after school every Wednesday 3:30 - 4:30pm. The aim is to play mini leagues in the 1st half term of each of the terms in the academic year for a 5 week period where schools compete to win their mini leagues. Chess is a game of concentration and decision making filled with patterns and puzzles. Playing chess results in better brain function, improved memory and cognitive abilities, strategic thinking and attention improvement, which leads to improved attainment and is an excellent game to aid learning. Heathfield Junior School Chess Tournament 2017. Certificates and prizes awarded by the Rotary Club. With help from the Twickenham-Upon-Thames Rotary Club. Chess is one of the oldest games in the world. It teaches strategic thinking, logic and it's fun! Weekly lunchtime sessions are run for beginners and more advanced players with the help of Twickenham-Upon-Thames Rotary Club. 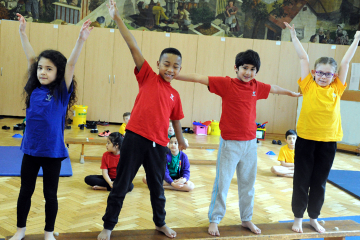 This allows children to progress gradually from learning basic moves to more advanced skills. 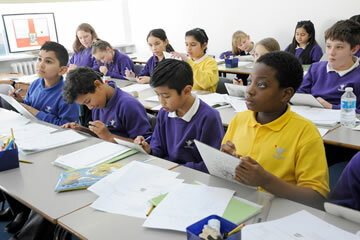 Once proficient, many of the children have the opportunity to take part in the Heathfield Junior School Tournament. This year 60 children entered the Chess Tournament and they all played fantastic games and showed great sportsmanship. Enis Neziri came second place as runner up this year and Isaac Mollallegn came first as winner in the Heathfield Junior School Chess Tournament 2017. Both boys received certificates and prizes awarded to them by the Rotary Club in assembly on Friday 30th July 2017.